The newest studio on the workplace design scene, a start-up company by Sandra Brenes and Silvia Rivela, is making a name for itself already, having only opened in April 2016. The two Master in Strategic Design of Spaces alumni have opened their offices in a co-working space for like-minded design professionals to come and work on projects. 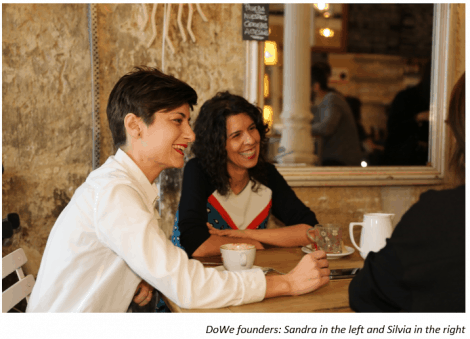 The DoWe team believe in the importance of asking the right questions to get diverse answers, and this can even be seen in the name – “do we”?. DoWe is not only a question, it also stands for ´Design Office for Working Environments´. As you guessed, they specialize in workspaces, and they focus on productivity, happiness, company-values, and sustainability in their design. When working, they use the “Transformative Design” methodology that cover functional and emotional aspects. The functional side of the design process looks at productivity, and workers wellbeing. The emotional side looks after implementing the company’s culture and values through the spaces. A lot of what they do at the moment is consultancy work, but they can also design and implement the projects themselves. The start-up itself consists of four people, but according to the project and needs they add more people to the team, hence the benefits of having a co-working space. The two entrepreneurs love what they do, and like-wise they create spaces for people who love what they do. Taking with them the innovative and entrepreneurial spirit of IE, they believe that “to get innovative solutions you need to do things differently” and by this, they mean they mix their know-how with other areas: while designing workplace spaces, they add elements from retail customer experience, peer-to-peer learning and even ephemeral architecture. The DoWe team like to have a thorough understanding of the company they work with and encompass all aspects of the business into a given project. 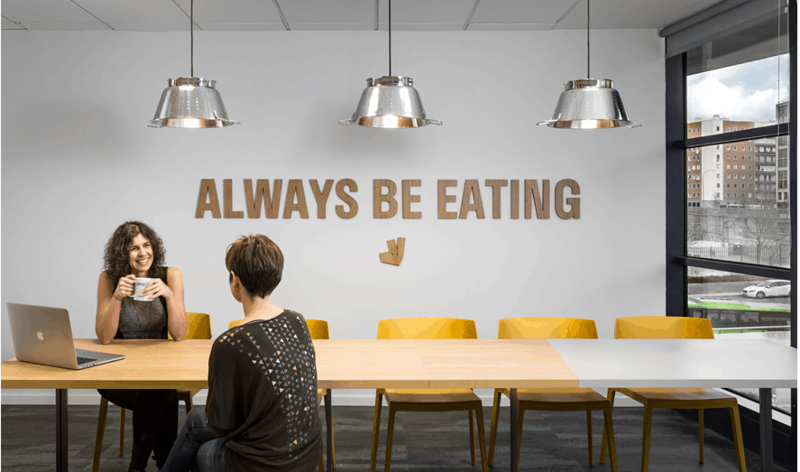 For example, they have recently designed and created the new head office space for Deliveroo in Madrid. To begin the project they talked to all the team managers and all the key decision makers of the company, and used all of the information regarding the needs of each department, eg Sales, Marketing, Operations, in the creation of their space. 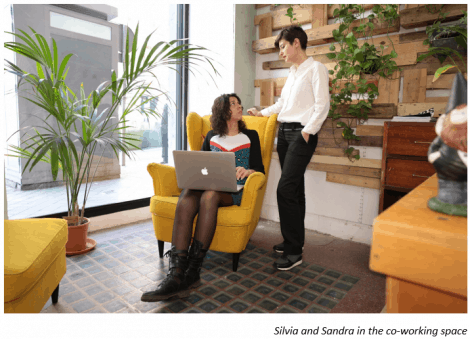 As well as the work side, Silvia and Sandra like to encompass the recreational side of office life into their design, and also create a space which fosters a sense of community among the ever-growing workforce in the office. One thing that can be sure is that this start-up is on the path to being a big name in design circles, and a name which will be synonymous with innovation and entrepreneurship, as well as with IE.